D2 8 Piston Front Brake Kit has 330 X 32mm brake rotor and is suitable for 17 "wheels or above. D2 4 Piston Rear Brake Kit has 330 X 32mm brake rotor and is suitable for 17" wheels or above. All discs are designed by 2-piece disc and the materials of the bells are made by aluminum. 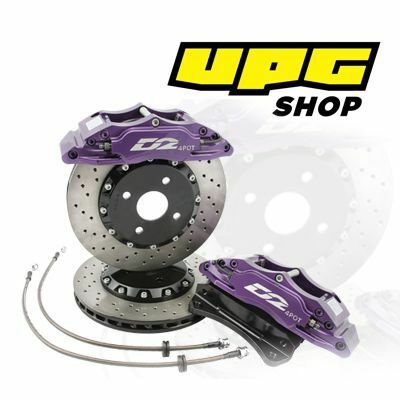 When the components of the kit are worn, such as the brake discs or brake pads, AP parts can be fitted onto our brake kit. Also, the brake pad from the following well-known brands: AP, FERODO, MINTEX, EBC, PAGID, CARBON METALLIC AND HAWK can be fitted onto our kit. customized to meet our customer's requirements. red, painted yellow, painted black,and anodized black are our standard caliper colors. the lead time is longer. Any powder coating caliper per pair is required extra fees. rear which likes the original, if does that is no good for your vehicle.